Who cares if classical music dies? Is it the canary in the coal mine? Eiseman: Presuming that there is such a thing as musical intelligence in Boston, I wonder whether musical intelligence and musical instruction have been in a steady state of decline for the past 200 years. I wonder if the dead-cat bounce has occurred yet. The Puritans required every pupil in the public schools to learn the equivalent of solfège so that they could chant the Psalms. And by 1880, according to John Sullivan Dwight, there was still enough interest in the subject to provoke a debate about fixed or moveable Do in musical instruction in the Boston Public Schools. Eiseman: But the the idea, that in the 1880s the Mayor of Boston and the head of the schools were debating this? And until the 1960’s, any elementary schoolteacher in Massachusetts had to have some piano proficiency to get a teaching certificate? Now music education is considered a luxury. Levin: Yes, but so are mathematics. Levin: Not very well, it turns out. Lee, I wouldn’t single out music. Not that I don’t share your dismay. But at first, when you said over the last 200 years, I would have found that exaggerated in terms of professional music education. I would certainly assert that that’s declining too, but I wouldn’t have chosen 200 years as the unit of measure. Eiseman: But we are not talking about professional education. 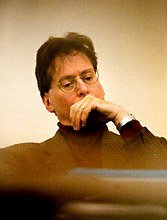 Levin: There’s very little doubt that the awareness of classical music is low, but certainly in university settings it’s balanced by the fact that there remains a very vibrant percentage of student bodies that is very interested in playing this stuff, and the concerts that they play are very well attended. Levin: Yes, absolutely. I think Harvard is a very good example of that. Unlike many land-grant universities there is no way for a violinist to get a degree in playing violin at Harvard, or the piano, or the flugelhorn, or the drums. Student musicians Students have to get a degree in something else. Yet the sheer number of music organizations that are run entirely by students is astonishing, and the attendance, primarily, but not exclusively, by students is very, very high. Eiseman: How much can you generalize from a Harvard experience? I thought about that audience and I said, “I think I’d like to talk about ‘Who cares if Classical Music Dies? '” It’s a talk l I’ve given a number of times. Six months ago, one of my colleagues at BU, Jaf Yudkin, has a lunch-time debate series there, and he invites people to come over. He usually has the guest talk first and gives himself the last word, and then the noontime audience votes on which side it supports. His point was that classical music is DEAD… and was hopeless, and so on. I insisted on being last and gave an impassioned speech about this whole thing. And to his astonishment the vote went my way. Eiseman: Germany has only been a country since 1870. Levin: And Italy wasn’t a country until then. England still doesn’t have one. People say Magna Carta, but that is not a constitution. Britain exists on common law. It is very interesting that Europeans are unaware of this fact. Now why am I mentioning this to you? Well, why do people want to come to the United States? People will say, because there’s freedom here. Because there’s unparalleled economic opportunity here? Fine, But where do those notions come from? They come from Western European liberal thought. The music that the framers of the Constitution were listening to, and they were listening to music, was the kind of music we are talking about. I wonder what you think is going to happen when you attempt – or when this country attempts – to divorce its notions of polity from the cultural liberal traditions from which they sprang? I wouldn’t be too optimistic about it. The fact is that how you think about politics, how you think about life, how you think about order, how you think about tolerance, morals, ethics is based on these cultural traditions. I tell my students that a musical performance is a moral act. You get in front of an audience, If you manipulate them, if you try to try to mislead them, if you try to become powerful at their expense, you ‘re Elmer Gantry. A renegade priest is looked upon with contempt and with ire and with outrage by people. Someone who pretends to be a poet that is actually only a cheap egotist betrays the art. But how do we in fact inculcate a sense of morality? There is an acute moral dimension to the present economic crisis, which was precipitated by irresponsible and ultimately unscrupulous financial behavior. The need to regain an ethical anchor for our daily lives is urgent. Art is crucial because it holds a mirror up to us. It affirms John Donne’s declaration that “Do not ask for whom the bell tolls; it tolls for Thee.” I gave a talk like this at Dudley House at Harvard. One of the graduate students who attended raised his hand afterwards and asked a question that to me was breathtaking. He put his finger on the crux of the matter. He inquired, “Are you saying that classical music is the canary in the coal mine?” That is really good. … I told the high school superintendents, you can see go Fellini’s “Orchestra Rehearsal” if you want to see it in a metaphoric way. But playing in an ensemble, learning that your collective responsibility comes from sacrificing some of your own selfish desires but latching onto something which has not just the practical aspect – ‘You’re gonna make a lot of money if you do it, or you’re gonna be successful if you do it’ — but it produces intangible rewards that elate you, that exhilarate you, and that communicate something profound and overwhelming to an audience, this is a powerful metaphor. You play in an orchestra, and you play this kind of music that is not simple Pop music that ends in three minutes 25 seconds, but requires that people pay attention to a narrative and really understand what both order and disorder mean, what destiny means, all of these things, This is something that will turn adolescents into people who function in society in a more responsible and enlightened way. This is the first of a series of interviews with Intelligencer editor, Robert D. Levin. Classical Music, Although not so popular or easy to understand, is vital to the success as a music student. Some of the most intense compositions on any instrument or even just notated is from the early ages of music. The history alone, including the artists, writings and what these artists went through was a display of them selfs and a model for contemporary music today. The progressions and scales created and used are from that era. So to merely leave that era in the past would not be good for the student or for the studies. This was really an interesting post with lots of fascinating ideas about music and music education. I look forward to reading more. It never ceases to amaze me that music education continues to seek justification when there are plenty of people in the world who would absolutely love to learn music and partake in its study. The problem lies in the delivery of our message and materials – things that seemingly have not changed since the invention of the printing press. For example, where does a successful, hip young adult go to study music? He wants to learn musical concepts, the ‘inside baseball’ stuff regardless of his chosen instrument. His choices are limited to academia (which takes itself and its music way too seriously and probably does not meet his needs by genre) or lessons in a music shop where novice musicians (who are usually even greener teachers) attempt to ‘educate’ him by rote with no regard to the sequence of concepts. But this same young adult is as important to our future as a university student if not more. He is our best resource, our strongest consumer and sharpest customer – he can become our strongest advocate as well. But teaching him classical music (or any music for that matter) with outdated method books and the same tired traditions will only lead to his frustration and demise. He will never get close to the ‘participation’ that Lee Eisaman speaks of or that ‘self-satisfied’ feeling of ‘getting what one expects and being intrigued when one doesn’t’. We will have lost a chance to make him an active participant in the full spectrum of musical possibilities and will have been our own fault.